What does maximum health with Max Martin mean? 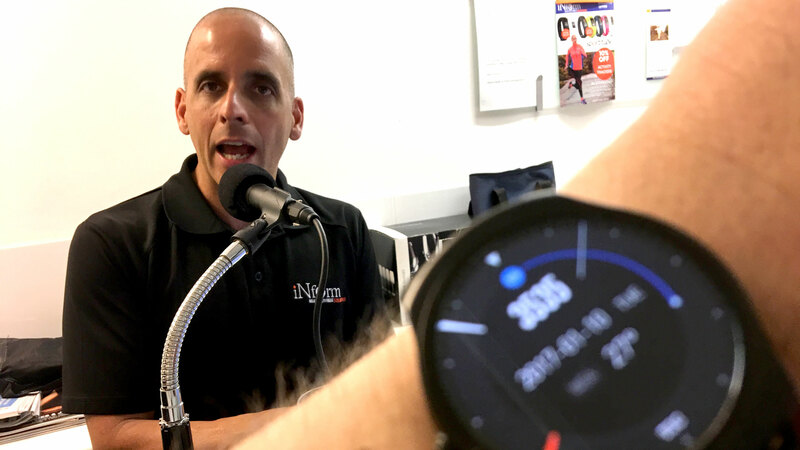 It means that during this episode we discuss all things fitness and fitness gadgets with Max Martin from iNform Health and Fitness Solutions, Norwood. This week, the SA Drink Of The Week is a delectable Sauvignon Blanc from the Adelaide Hills and an intriguing Shiraz from McLaren Vale. Nigel will start the year, trying to stump you and our guests with IS IT NEWS. And the Coconut Kids will get us moving with their song, Run. Suggested Tweet text: Is your @fitbit or #stepcounter the key to #fitness & #health? @InformMaxMartin has answers. How many calories in a clap? Please vote for us against the interstate entrants in the national podcasting awards, the Cast Away Awards. Just go to theadelaideshow.com.au/vote, sign up and vote (you won’t be on any lists or get any spam, we just need your one, solitary vote, because each one counts). Thank you. Max Martin is known to our listeners of the voice behind the Made To Move Minute, which ran for a couple of years on our podcast. He is also co-owner of iNform Health and Fitness Solutions in Norwood, Corrective Exercise Australia, and is an immediate past member of the Fitness Australia board. He also loves running, riding bikes, red wine, and gadgets. So, tonight, we have him on the show to talk about all those things and more and see if Nigel and I can keep up the pace. Max, do you enjoy red wine because you know you’ve banked some calorie burning? I’ve got a watch that tells the time, gets notifications from my phone but also counts steps. I am hooked, is that a good thing? What gadgets help, what ones hinder? What is a good combination? Can we measure too much? Bruce Andrew Gannon how does it work technology wise? DT I’m taking on a new job later in January, and it will be quite public. I’m carrying some extra weight around my girth and under my chin. What can I do in a few weeks to make my body great? Anna Votino Fitbits, Garmin, Apple watches etc are all radio emitting devices therefore how healthy are they long term? You just have to wonder especially if you’re wearing them all day – and at night as well to check your sleeping patterns. 🤔🤔🤔 I guess by wearing them it gives you more motivation to get healthy therefore keeping illnesses at bay! Just a thought but I’m sure sometime in the future there will be debate on it if further evidence, if there is any, comes to light! Erica Diment Looking forward to listening. I find it really hard to know whether to keep on my fitness routine when my ankle is sore or my knee is giving me trouble. If I stop I lose fitness but if I keep going I risk further injury. How can I work through this? And our song this week is Run by The Coconut Kids, selected by our musical curator Dan Drummond. Here is the “warts and all” transcript of the interview with Max Martin, as automatically transcribed by YouTube. Yes, some sections make no sense at all, and that’s why we love it. Or just watch the video but TURN ON CLOSED CAPTIONS by clicking the CC button on screen.